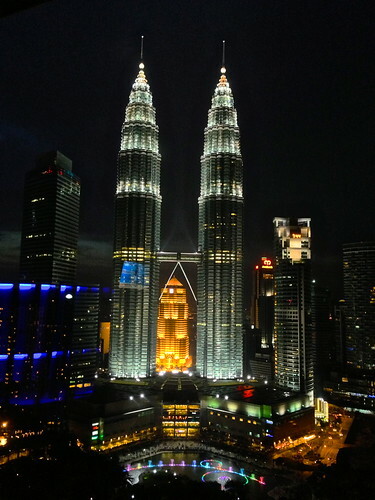 I’m not gunna lie guys, Malaysia was not my favorite place in this world. 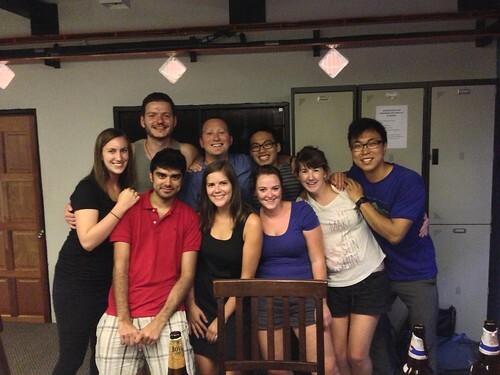 It’s not like I hated Malaysia, but it definitely put a sour note on our travels. So I was going to do this whole “Here’s 6 Reasons Why I Disliked Malaysia” post, and I had it written out and everything. But I made the difficult decision of deleting the list I worked very hard on. In no way do I ever want to sway you from adding Malaysia to your travel wish list, especially since I don’t have a good reason to do that. 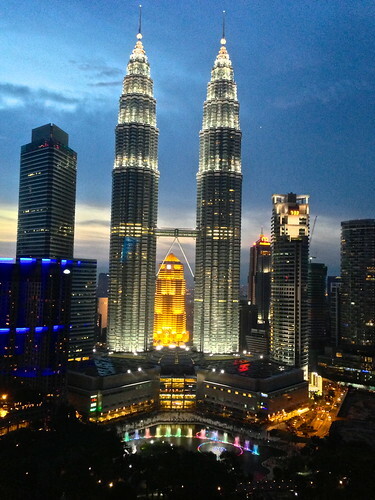 In fact, I have heard from many people on this trip that Malaysia was one of their favorite countries they visited. I had 6 reasons I disliked Malaysia, but all of those reasons can be summed up with one little problem. Me. 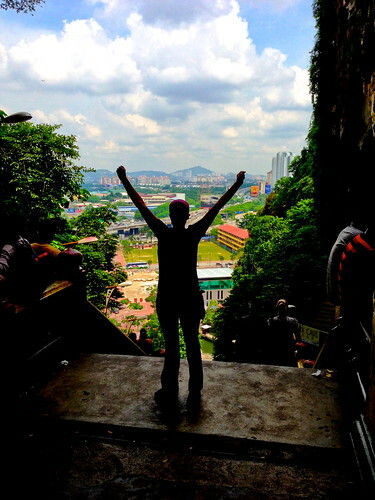 My attitude was so bad in Malaysia. I was sad we left Bali, our favorite place on Earth, and all I could do was compare Malaysia to Indonesia and pout like a big traveling baby. That is not a good traveler if you ask me. 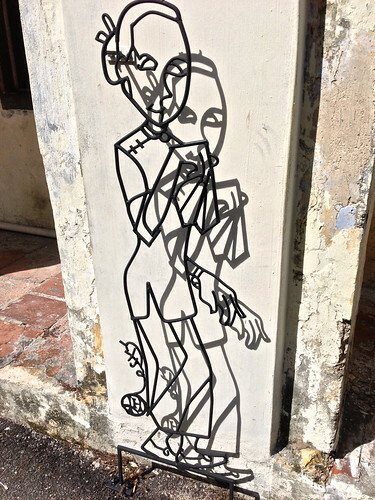 So instead, I’m going to make a list of why I liked Malaysia. I’m hoping by the end of this post I will have convinced myself that it really wasn’t that bad and that I should give it another chance. 1. 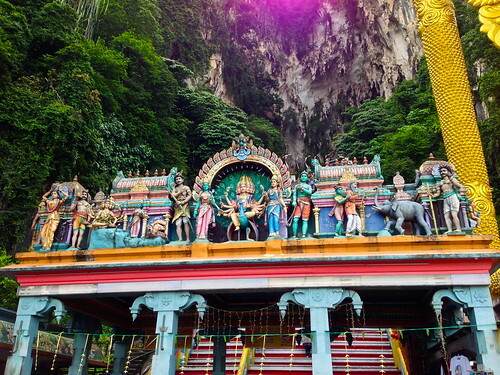 One of the most popular Hindu Shrines outside of India is found near Kuala Lumpur, Malaysia. 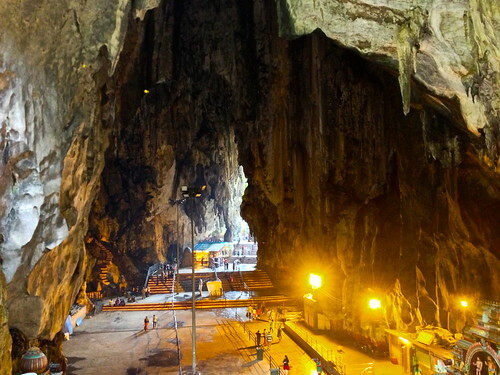 The Batu Caves. Without a doubt the most beautifully impressive place of worship we have seen so far on this trip. 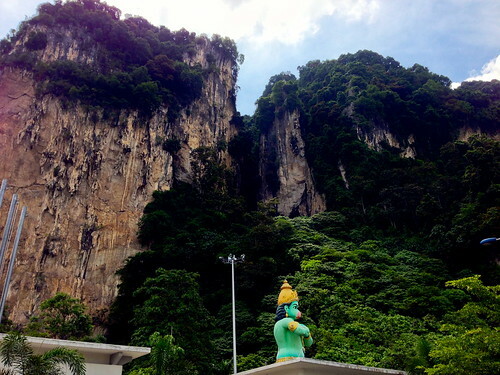 Surrounded by limestone cliffs you’ll find shrines, temples, hindu drawings, and statues. 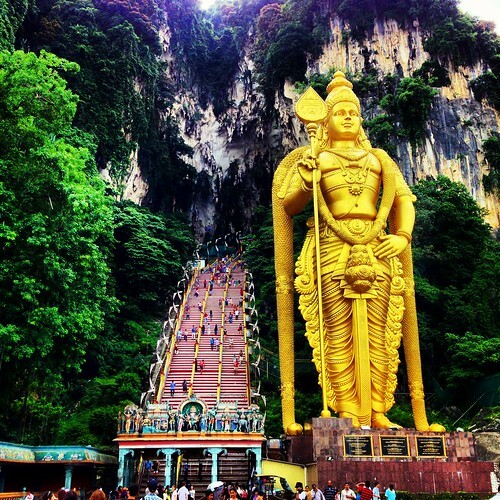 Including the most impressive statue of Lord Murugan, a Hindu deity. We walked up the 272 steps to enter the cave temple with limestone walls, monkey inhabitants, and dripping water from a recent rain. It was truly beautiful and unlike any other place we have seen. 2. 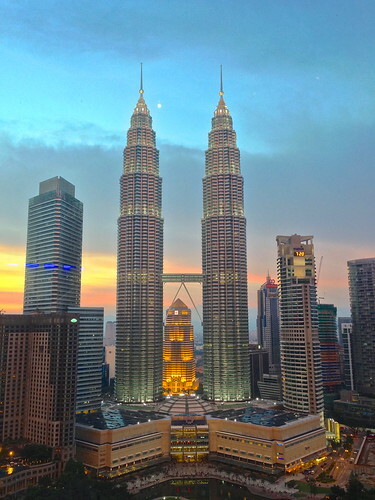 Watching the sunset on the Petronas Twin Towers in Kuala Lumpur from the Sky Bar at the top of the Traders Hotel. Our expensive beers were worth every penny with a sunset view like this. 3. The hostel we stayed at in Kuala Lumpur, Sunshine Bedz KL, was one of the best hostel experiences we have had on this trip. It wasn’t the most luxurious place to stay in KL with shared bathrooms and showers, but we got a private room with aircon for $28 a night in a popular part of town. Plus, when we arrived we were immediately offered a chicken wing from the manager and invited to a birthday party on the roof followed by dancing and drinks at a nearby Irish Bar. Only 10 minutes in and we had already made new friends. 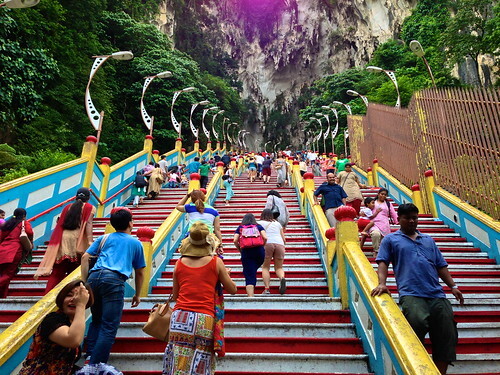 We also enjoyed the Batu Caves and a night of cards with our new friends. Making friends is always our favorite part of traveling. 4. 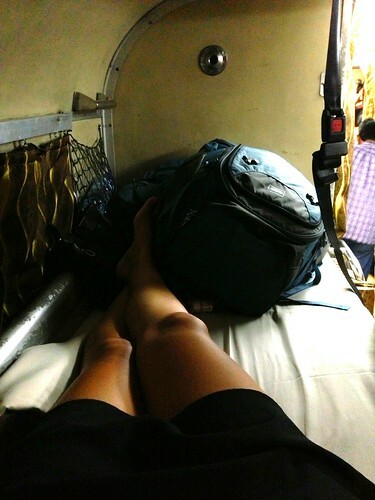 Our first night train experience was from Kuala Lumpur to Penang, Malaysia, and although I did have this on my negative list I’m also putting it on my positive list because it was an experience we will remember forever. Even if it wasn’t necessarily the best experience. I wanted to stay positive in this list, so all I’m going to say is: squatter toilets on a bumpy train are not cool man! 5. 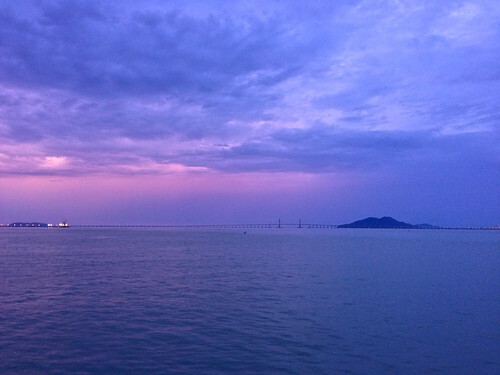 Watching the sunrise as we sailed over to George Town on Penang Island. We don’t always get to see sunrises (we’re more sunset kind of people), so when we do it feels pretty special. Unlike sunsets, sunrises are usually more quiet since most people are sleeping, making those pretty colors so much more peaceful. 6. 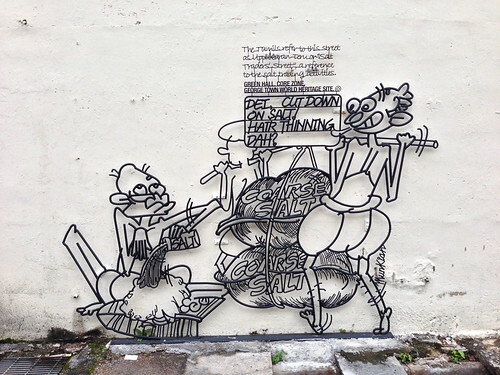 We saw this wire rod street art all over George Town. 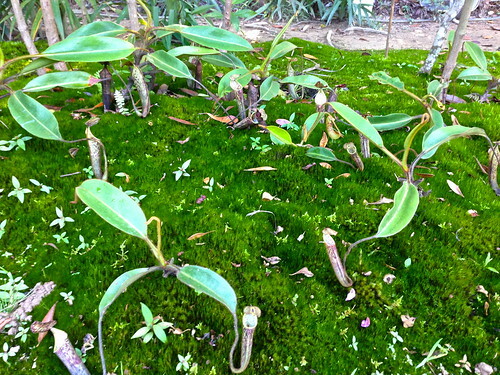 I’ve never seen something like it before. 7. 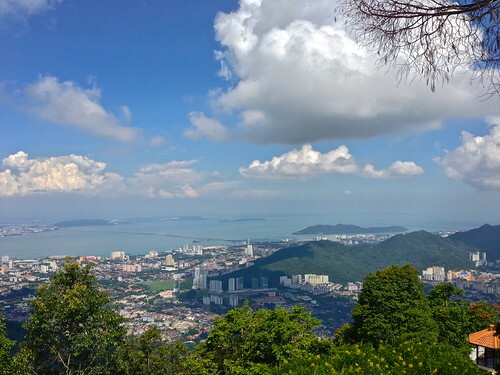 When in doubt, head to the tallest hill for a great view. 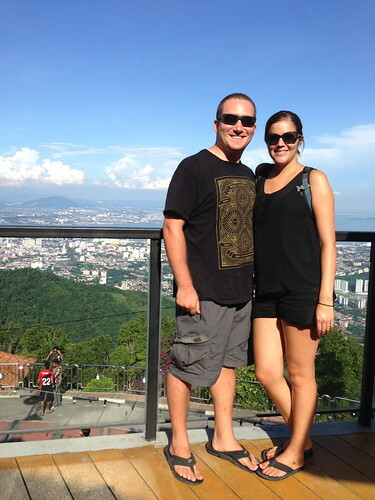 Penang Hill was a great way to see George Town. 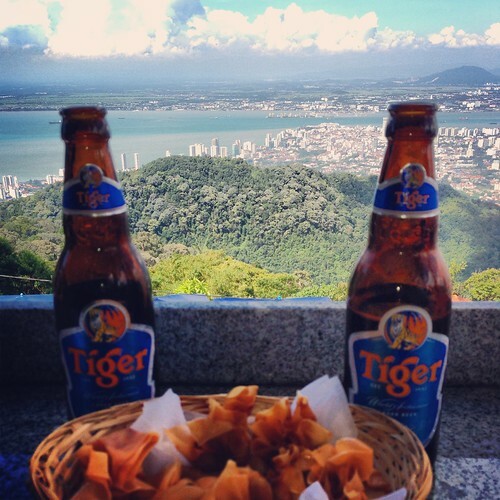 We enjoyed an expensive beer and soaked in the view-y goodness. Not too shabby, eh?! 8. 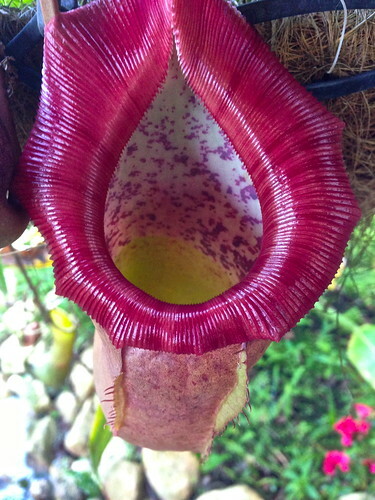 Exploring more of Penang Hill we found Monkey Cup, which is a garden filled with “Nepenthes (/nɨˈpɛnθiːz/), popularly known as tropical pitcher plants or monkey cups, a genus of carnivorous plants in the monotypic family Nepenthaceae.” (Thanks Wikipedia!) 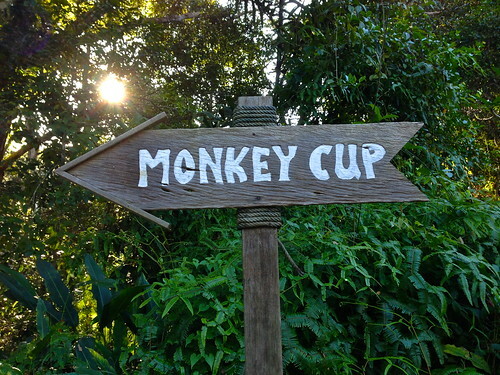 A guide showed us around the garden that houses hundreds of monkey cups from all over the world. 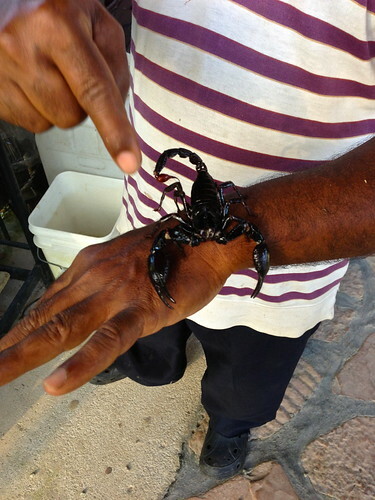 Then he tried to make me hold a scorpion and it was time to leave. So there you have it! 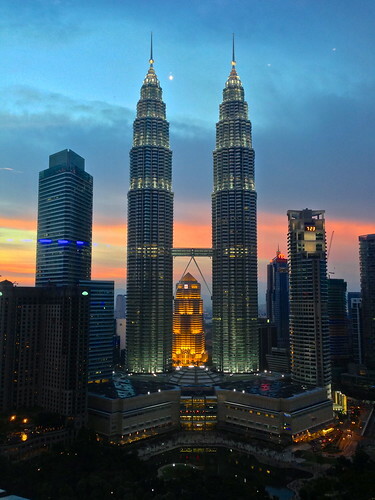 Malaysia is a pretty cool country if you’re willing to put your grownup pants on and stop pouting about not being in Bali anymore. I hope I make it back there someday to makeup for my poor traveling attitude while we were there.